Call us Today for all your Painting Needs! 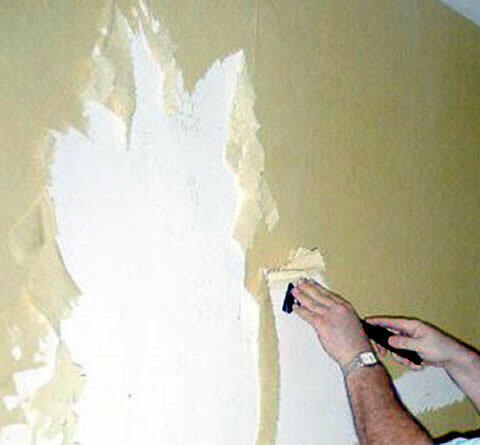 To prepare the walls, there’s extra time estimated to remove the wallpaper and its adhesive, and to see that no heavy residue is left on the walls before painting. A primer is typically applied to make sure that no adhesive residue will show through the paint. Two finish coats will be applied, unless otherwise noted. Note: wallpaper removal is not always easily done. Proper protection below the work area is very important everywhere you paint, especially here where the walls will get wet. Ask BBP for details and advice regarding all aspects of the project, including various conditions of the walls during and after the wallpaper removal process. © Copyright 2017 Boomerang Badger Painting Company. All Rights Reserved. Please check out the Facebook page for Boomerang Badger Painting to see painting ideas and more.